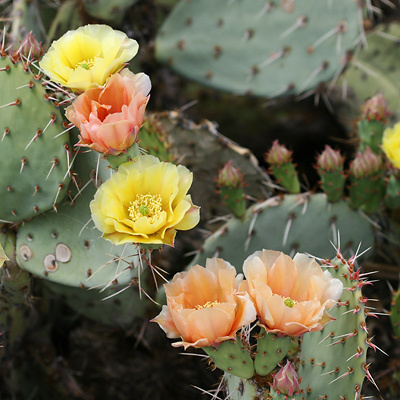 Description: The showy flowers are up to 3 inches (7.6 cm) across and have solid colored tepals with no red at the base. 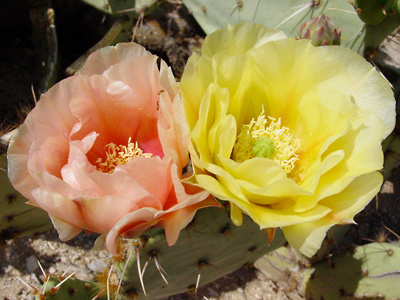 The lighter colored flowers age to a salmon or peachy pink color. 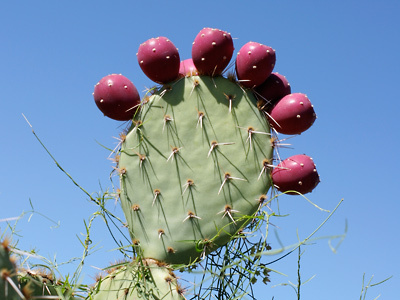 The flowers are followed by plump, vase-shaped or barrel-shaped, red to reddish purple fruits that are dotted with bundles of glochids (painfully sharp micro-spines) but no large spines. The stem pads are dull green, flattened, oval to shaped like an inverse teardrop, and have 0 to 6 white or less commonly yellow, drooping spines ringed by sparse, brown or golden glochids at each areole. Many of the large spines have a dark base. Edible – The juicy, mildly sweet fruits, known as "tunas", are edible if the spiny glochids are removed or burned off. 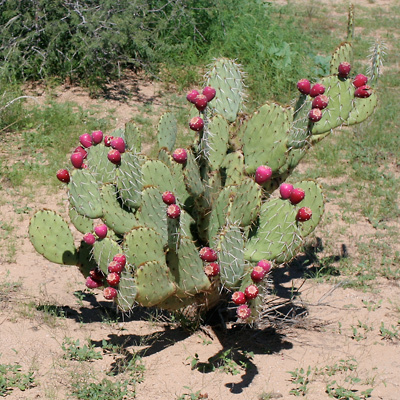 The fruits are used to make juice, syrup, and cactus candy. 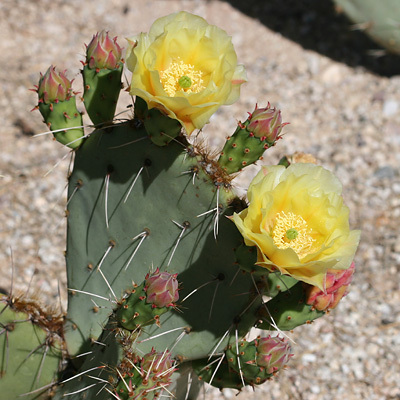 The pads are also edible if the spines and glochids are removed. Do not eat the fruit or pads unless all the glochids are removed. 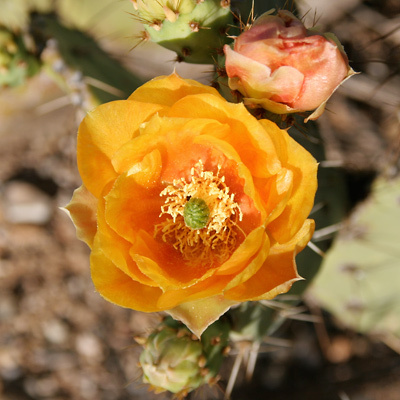 The glochids can become embedded in your tongue, where they are difficult to remove and can cause pain and infection.